Ben Mingay is a big Toyota fan. STAR of stage and screen, Ben Mingay has a hidden driving secret. He was once the "stunt driver" for the spindle super hero, Super Hubert. Mingay was at the helm on many occasions with the comedian, magician and entertainer hanging off the roof. Nowadays, Mingay plays Rob Duffy in Channel 10's Wonderland. We caught up with Mingay before Wonderland's finale to talk about his motoring life. A 1989 Toyota HiLux 4x4 tray-back my dad gave me. It had a 2.8-litre diesel and 420,000km. It was a rough old workhorse and took me on many adventures. Eventually I jumped a sand dune and bent the chassis. I got it fixed, gave it to my nephew as his first car. He rolled it, then he gave it to my niece as her first car. She put mag wheels and checker plate on it and rolled it... twice. They eventually sold it with 700,000km, it had never missed a beat. I currently own a 2003 Toyota LandCruiser Sahara V8. It is stock standard apart from a little straight-through exhaust. I love my camel wagon and have taken it everywhere. It has 320,000km on the clock and is still going strong. I hate filling it up but as soon as I roar out of the servo I soon forget that I just dropped $200. I also own a midnight blue 1977 Jaguar XJ6 in mint original condition, but it rarely leaves the shed. My dad had a silver 1988 Mitsubishi Starion Turbo five-speed. I was only young but I do recall it being really fast. I used to have this recurring dream that the St George Dragon was chasing me around the garage and the only place he couldn't get me was inside the Starion. It met its end when my brother somehow convinced dad to let him borrow it to go to a party in Armidale...it came back smashed up. He swears to this day that he "swerved to miss a 'roo and went off the road", but Jon we all know you smashed it doing circle work. What is your greatest frustration on the road and why? People who don't thank you for letting them in; it's just rude and makes me want to ram them. Jimmy Barnes or Lord of the Dance, I know that's weird but that's just how it is. If you were to pick anyone in the world to go on a road trip, who would it be and why? My mate Chad, because we've been planning to do Route 66 in a pick-up for too long and it just needs to happen. I'd also throw Jeremy Clarkson in the back and ditch the road map. A 1970 Oldsmobile 442 Cutlass Convertible... because it's a beautiful beast. 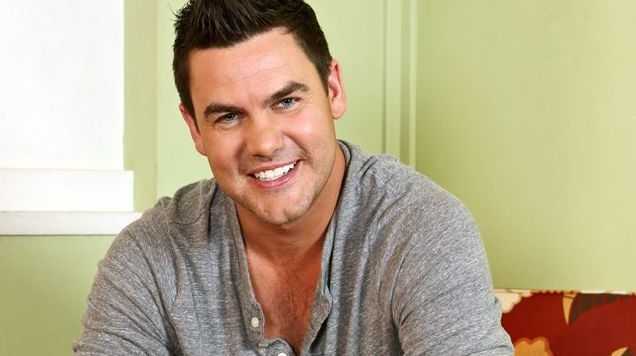 Resume: The Australian actor and singer played Buzz Graham in the series Packed to the Rafters and his current role is Rob Duffy in Wonderland. He also featured on stage in An Officer and a Gentleman, Dirty Dancing, Jersey Boys, South Pacific and Hair. See him: In the Wonderland finale on Wednesday, November 19, 8.30pm on Channel 10.